The number of people displaced from their homes has reached a grim milestone. In their Global Trends 2015 report, the UN Refugee Agency, UNHCR, counted 65.3 million people forcibly displaced worldwide. The Syrian conflict has become the largest displacement crisis, with over half of the country’s pre-war population having left their homes since 2011. New coverage of the Syrian crisis brings to mind images of refugee families blocked at European borders and humanitarian camps in neighboring countries. Yet the majority of Syrians fleeing the violence near their homes have remained inside Syria, moving to nearby cities in the hope of safety, better services and jobs. The shift from refugee camps as a displacement destination, to mass migration to cities and towns creates new challenges for meeting the needs of displaced populations—in Syria, and across conflict areas around the globe. The forced displacement crisis in the Middle East is also an urban crisis. The sudden influx of large groups has redefined cities, and put new stress on local infrastructure, services, housing, and employment. In the Middle East up to 90% of the displaced are living in towns and cities, up from 40% only a few years ago. As the crises persist for years, the displaced become the residents and the fabric of the cities is dramatically and permanently changed. While large cities may have the most refugee arrivals in absolute numbers, it is the secondary cities and small towns, especially those near the borders, that struggle with the greatest social impact. 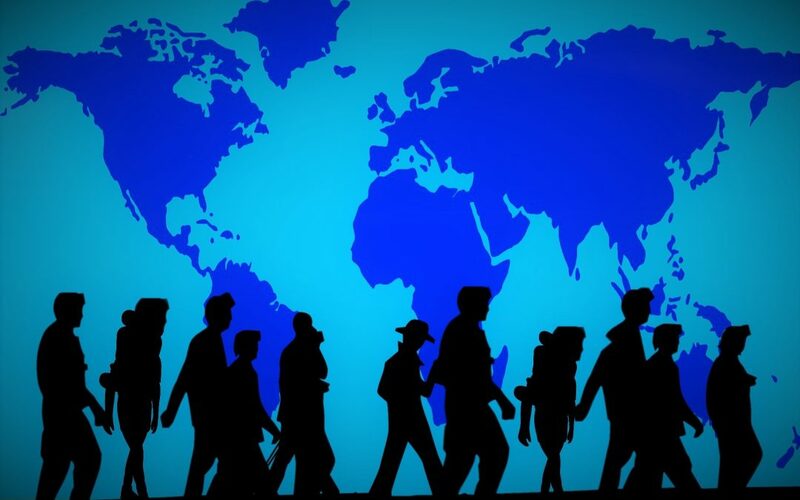 With the new arrivals blending into existing populations, traditional programs based on refugee status are no longer sufficient. In this evolving paradigm, where the location and needs are hard to distinguish, place-based policies have a central role to play. The size, magnitude of displacement, existing infrastructure and services, and financial and administrative capacity of a receiving location must blend with a more humanitarian approach in cities caught up in acute violence and destruction, and a stronger development focus in for higher capacity cities that receive a relatively small number of refugees. The existing menu of urban development programs can inform the humanitarian outreach, ranging from urban upgrading and community driven development to disaster risk management. All while considering the sensitive political context in which refugee crises occur. ‘Cities of Refuge’ is a call to action. The report contains new policies for urban centers of forced displacement that modify the discussion to consider the welfare of all residents, regardless of origin.